Touch Of Belle : Meet my April Advertisers! Let me introduce you to my April Advertisers! Hello! My name is Vicki and I'm a 20 year old blogger from the West Midlands. I love all things cats, video games, music and photography. I blog about pretty much anything on my mind, i try to keep up to date with the latest beauty products, music and fashion. I'm a bargain blogger and i love sharing my findings about the budget side of life! Where can you find Vicki? 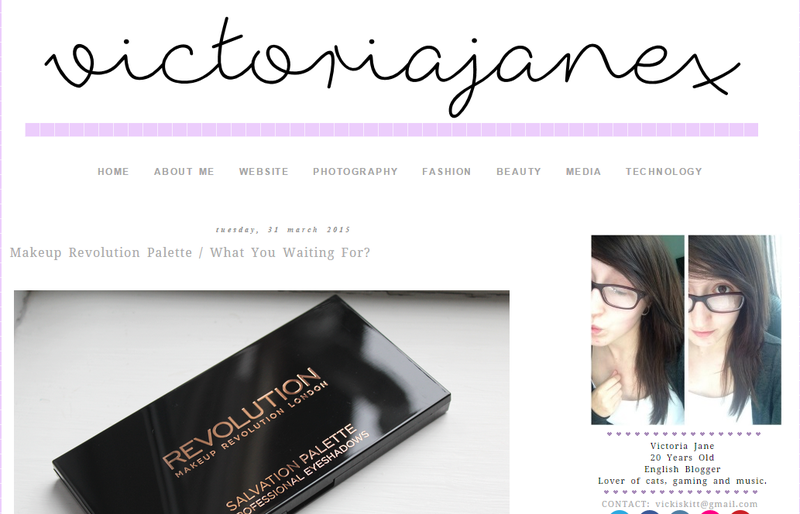 Do go over and check out Vicki's Blog, I hope you enjoy it as much as I do! If you are interested in advertising your blog or business with me next month, then click here or the "Advertising" Tab at the top of my blog for more info! Let me know if you check out Vicki's Blog!